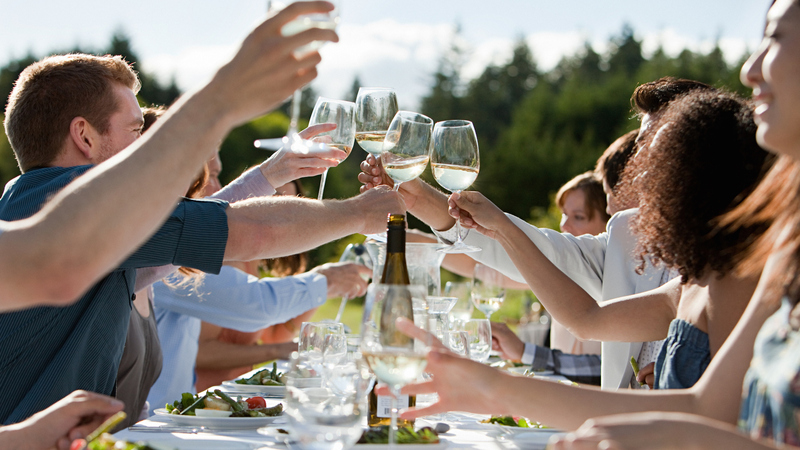 Throwing parties is fun, but let’s be honest — it can be really stressful too. But it doesn’t need to be. Once you learn these easy party hacks, you’ll realize that entertaining at home is easier than you ever imagined. If your freezer doesn’t automatically make ice and you don’t want to buy some from the store, just plan ahead! Make ice in your ice cube trays, then empty cubes into a large, freezer-safe container, starting a few days before your party. By the time your event rolls around, you should have enough to last the night. You can skip the ice in favor of something more festive, like frozen grapes, berries or even lemon and lime wedges. Drinks will stay cold and look fabulous. 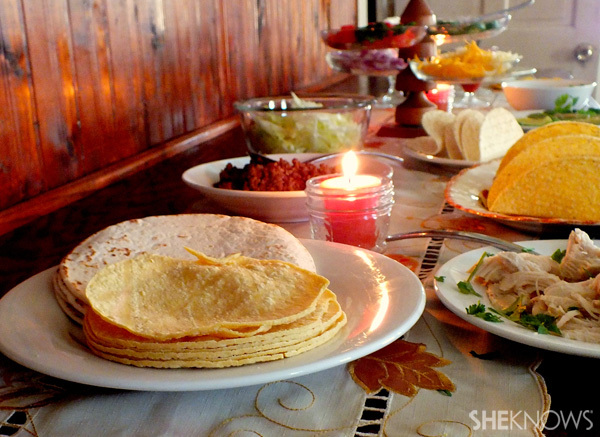 Being faced with a wall of dishes after a party can make you never want to host again. Avoid sink overflow by using wine charms, chalkboard paint or a dry-erase marker so each guest can claim one glass for the entire night instead of getting a new one every time they get a drink. Want your cloth napkins to look extra festive? 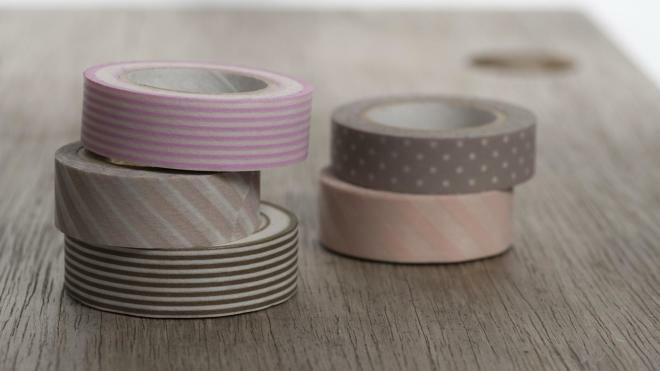 Use your favorite washi tape as napkin rings. You can match them to the rest of your decor or use a contrasting pattern and color so your table settings really pop. Nothing looks worse on a dinner table than wilted flowers. So how can you keep them fresh? 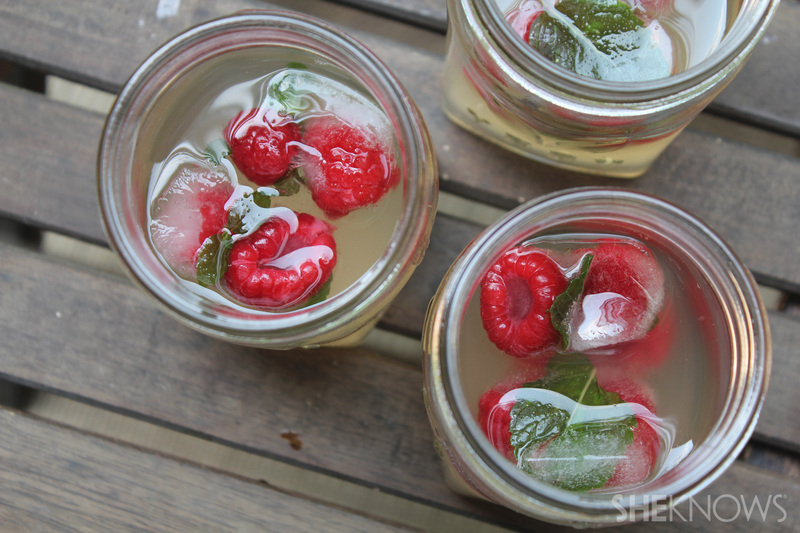 Cut the flower stems diagonally so they’ll absorb more water. Try to purchase the flowers the day of your party, and if you can’t, make sure you refresh the water every day. You can also keep the flowers somewhere cool, like the basement or mudroom, until your guests arrive so they don’t wilt. Not worth the stress? 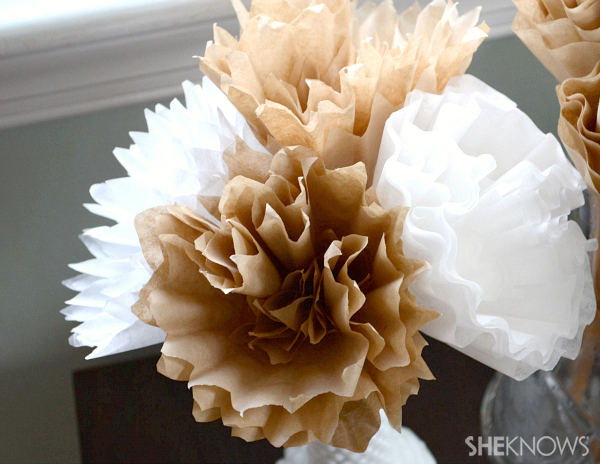 Try making a bouquet of coffee filter flowers instead. Nothing ruins your party mood like using the host’s bathroom only to have your business linger in the bowl after flushing. If your toilet is at all tricky, make a cute little sign with instructions to place in the bathroom so your guests don’t need to have any moments of crippling panic. Likewise, a plug-in air freshener or a spray bottle of the stuff placed in an easy-to-access location will make your guests feel a lot more comfortable about whatever may go down in the WC. 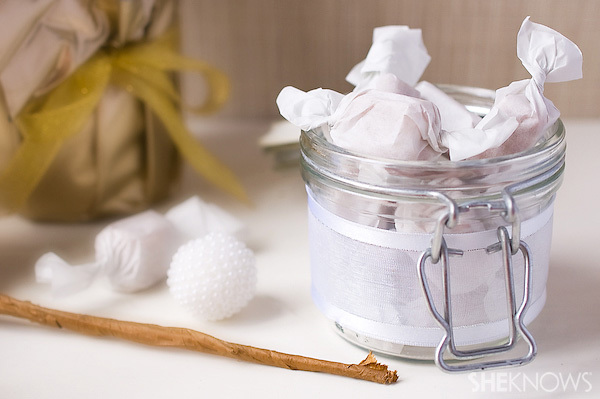 Having a cute basket of feminine hygiene items at hand isn’t a bad idea either. Make a cooking and party prep schedule ahead of time so that everything you need to accomplish gets done on time. It can start a few days from the date of the party and include everything from grocery shopping, playlist creation and cleaning to doing prep work on your veggies and sliding your main dish into the oven before guests arrive. It doesn’t hurt to designate a set time for dinner — an hour for cocktails and apps will help set the mood, and then a set dinner time will help the evening progress in a natural way (and put pressure on guests to arrive on time too). Dreaming of an elaborate tablescape? Give yourself time to create your masterpiece by setting the table the night before. You’ll be able to craft the look you want without having to panic over all of your other day-of-party tasks at the same time. If you have a “no shoes” policy, then be considerate of your guests and provide fluffy socks or slippers so they don’t have to walk around barefoot all night. There’s nothing that makes me more self-conscious than worrying about smelly feet at a party or, worse, leaving sweaty footprints behind on a wooden floor in the summer! Alleviate any of your guests’ worries by providing them with clean, comfy footwear. Every party should have music, but it’s especially important if you’re inviting a bunch of people who don’t know one another. Music fills any awkward silences, helping your guests to feel at ease, and can also help drown out the clatter of pots and pans in the kitchen if dinner prep starts to get hairy. Make a Spotify playlist ahead of time, or rely on a steaming radio service like Pandora or Songza to find the perfect tunes to suit the mood of your fiesta. Chances are the overhead lights in your house are too bright. If you have a dimmer, then set the lights to a comfortable glow. If not, try to utilize lamps rather than harsh overhead lights, or string up fairy lights for an extra-festive twist. Fun and fancy candles can be a nice touch too, but if you’re worried about that much open flame combined with your signature cocktail, you can opt for LED candles as well. It’s simple but can make a big impression. 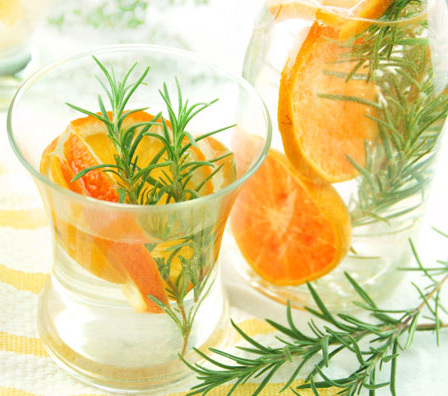 Infuse a pitcher of water with sliced cucumbers and mint or lemon slices and strawberries — any tasty combination that will make the water look and taste extra special. Sure, you should offer your guests something to nibble before the main course, but feel free to supply them with mixed nuts, olives and marinated veggies from the olive bar at the grocery store, a selection of cheeses with store-bought crackers or bread and some fresh fruit. Sometimes the simplest foods are the best, and grocery store staples that require little to no prep work are every dinner party host’s best friend. Slicing cheese for a cheese plate can be daunting, and a lot of good cheese can go to waste if you’re using a dull knife — or even a sharp knife — to get the job done. The solution? Try using unscented dental floss instead! Hold the floss taut, then use it to cut slices of your desired thickness. This trick works for cutting cakes into layers too. You might feel the desire to impress your guests with that new Indo-Creole fusion dish you saw online, but to avoid culinary surprises, it’s best to stick to something you know. 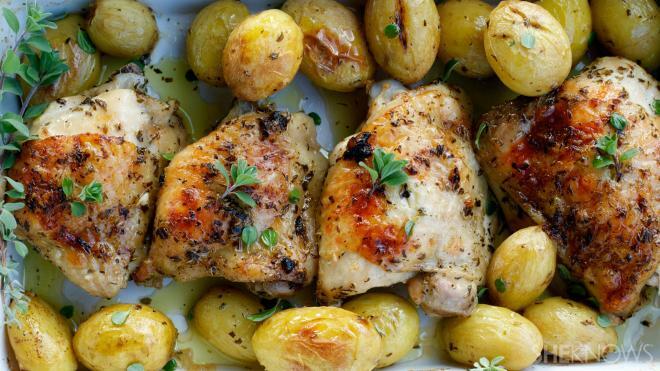 Delicious yet simple, one of our 20 most-pinned chicken recipes should do the trick. If you are truly desperate to share a totally new dish, then make it at least once before your party so you aren’t taken unawares by any recipe malfunctions. 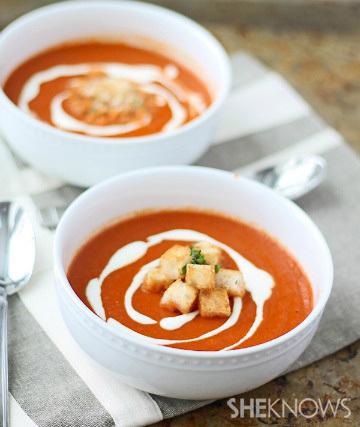 Save yourself a lot of stress by making as much of the food ahead of time as you can. No one wants to see their host running frantically back and forth from the kitchen to the bar, so do everyone a favor by relying on premixed cocktails or a serve-yourself drink station, premade salads that just need dressing and even prebaked roasts so dinner can start on time. 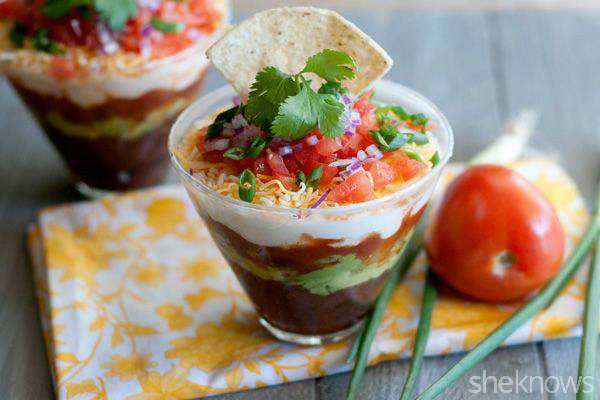 Get inspired with these 10 make-ahead appetizers. Formal parties can be fun, but potlucks are becoming more and more de rigueur. 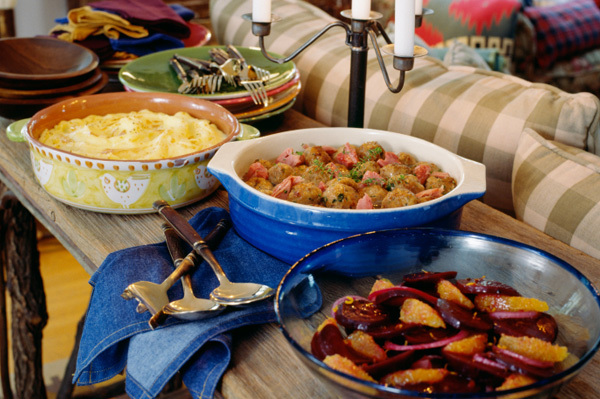 Have friends chip in with salads, sides and dessert while you provide the main course. You’ll be a less-stressed and more fun host, which all your guests are bound to appreciate. If you’re stressed about getting the food ready ahead of time, then incorporating the cooking into the party itself can be a fun solution. Prep sliced veggies and portions of meats and cheese, then provide your guests with dough so they can customize their own pizza. A sandwich, burger or taco bar is fun too. You can even throw a sushi party and let guests keep their sushi-rolling mat as a party favor (after you wash it, of course!). Even if you’re not that great of a cook, you can make your dishes look special with a few simple additions. Fresh herbs, edible flowers, curls of Parmesan, a swirl of olive oil and croutons in a bowl of soup — these little extra touches will help bring your food presentation from mediocre to Michelin star. Birthday parties require ice cream, and it’s a nice way to end summer dinners too. Serve it effortlessly by cutting it into slices instead of scoops. Your scoopin’ arm will thank you! Remember how excited you would get as a kid when you got to go home with a bag of fun stuff? Well, your adult guests will love being sent home with some treats too. A boxed cupcake, some salted caramels or a selection of nice teas is a great way to end your party on a sweet note. 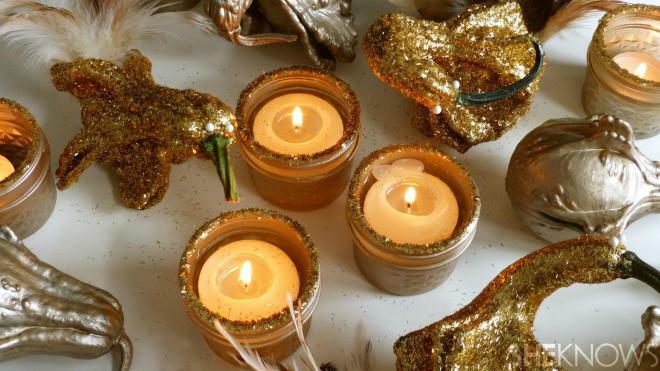 You can also opt for something like a scented candle, fancy soaps or even miniature succulents in cute vases.